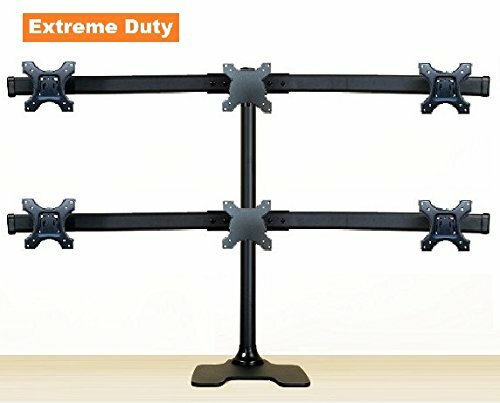 These are currently the best, most solid, yet affordable 6-monitors stands (free standing) that I have hand picked if you want to build a solid multi monitor computer. 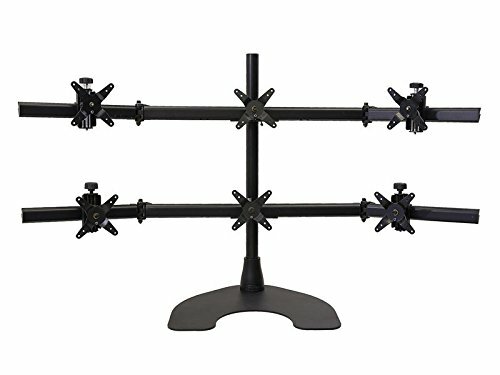 NOTE: Free standing monitor stands are perfect for people that like to move their computer around and avoid the hassle to have to uninstall everything each time. 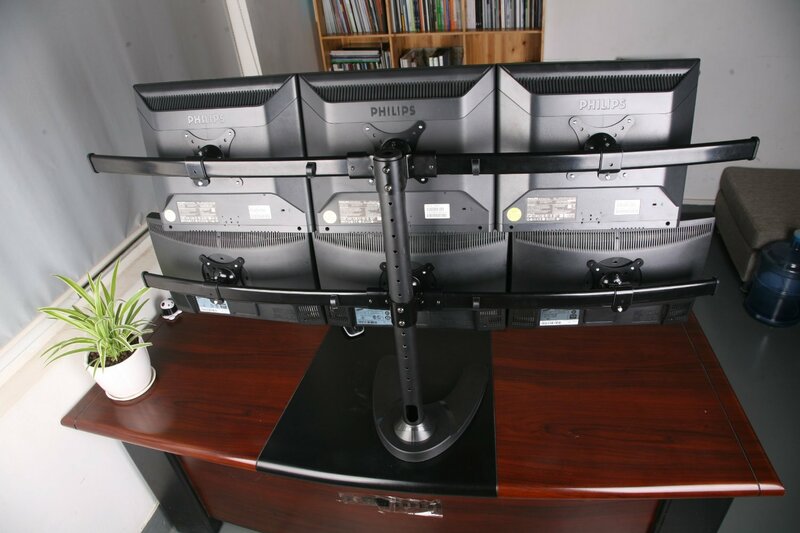 NOTE: In the 6-monitor stand below, pay attention to the FEET / BASE of the stands. 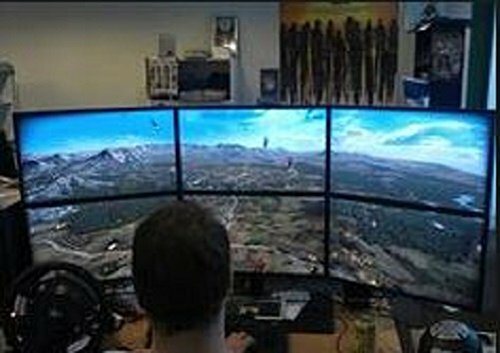 It makes a big difference to have a flat base. 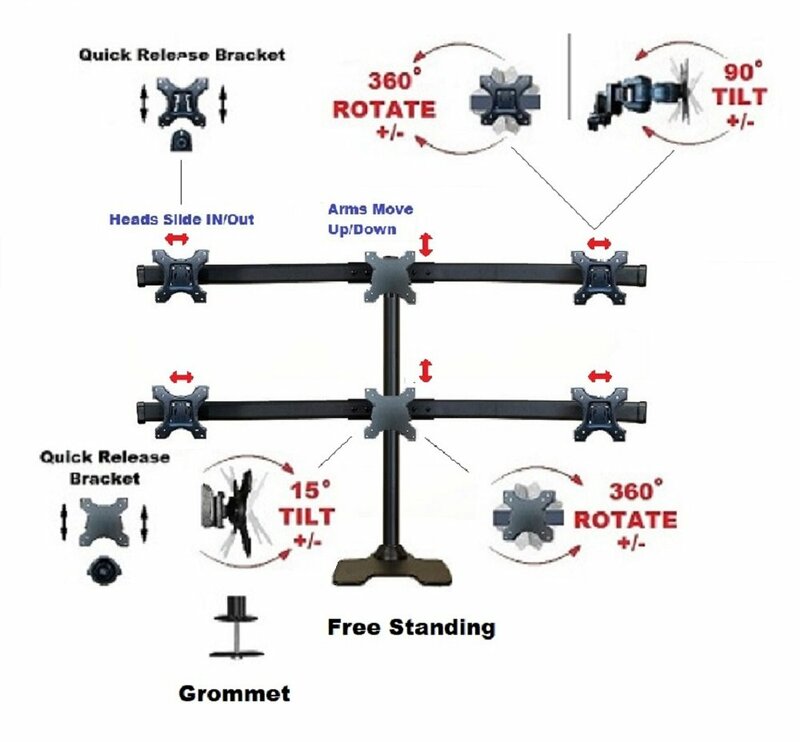 The other difference are additional pivots in the arms, and more movement freedom or ease of install. 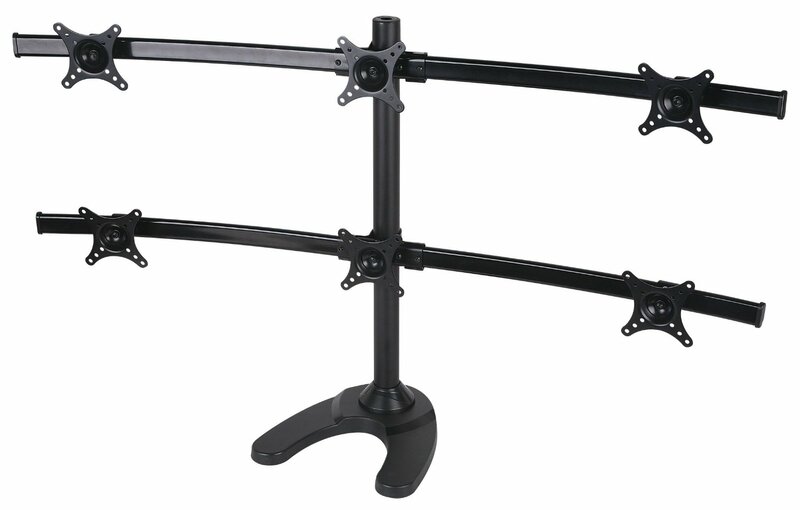 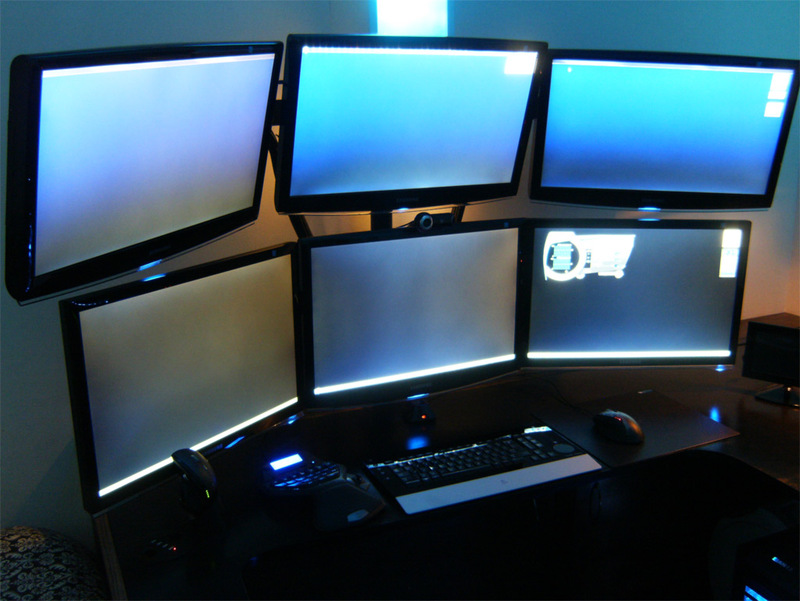 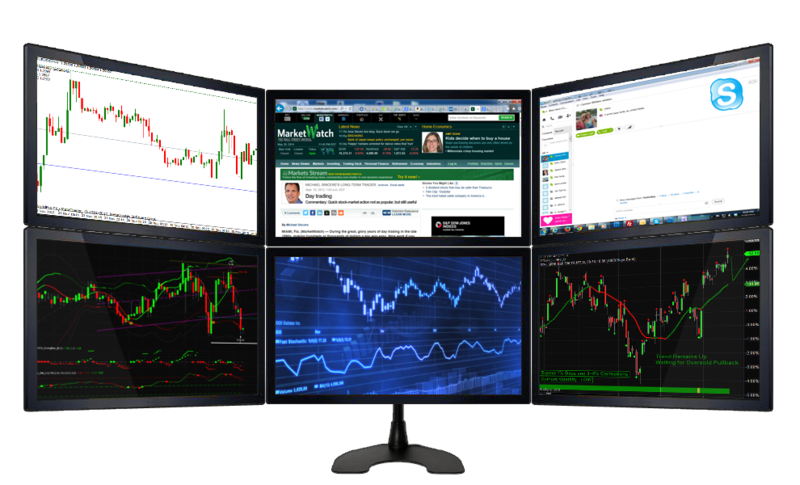 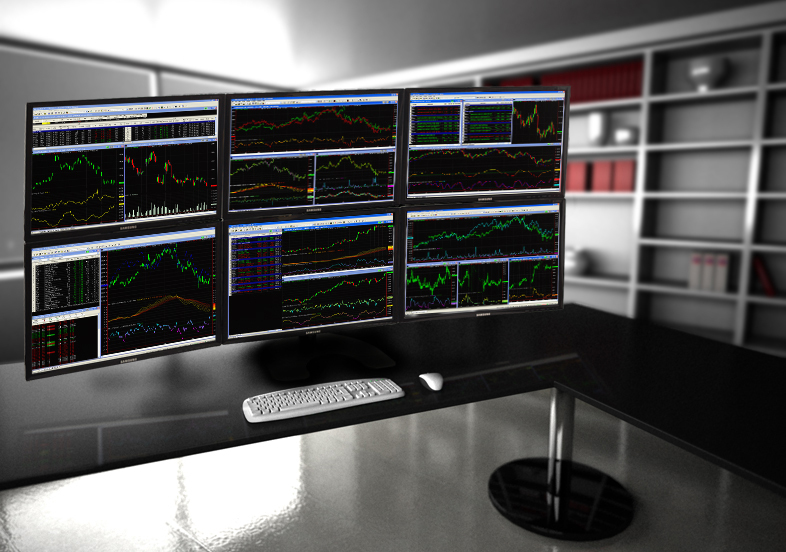 But be reassured: all these are top rated, most popular monitor stands so buy with confidence.